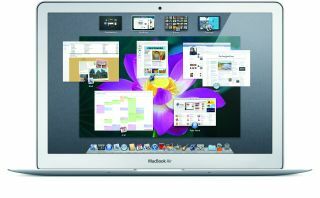 UPDATE: Check out our hands on OS X Lion review. Apple has launched the eighth version of its OS X platform, OS X 10.7 Lion, with the company saying it has drawn inspiration from the iPad and the new iOS operating system. Speaking at the San Francisco Back to the Mac event, Apple CEO Steve Jobs says that the iOS platform used on the company's mobile devices "is feeding the Lion." Jobs says the company has been inspired by recent developments on the iPad and iPhone and wants to bring them "Back to the Mac." First of all, Apple has announced a standalone App Store for Macs, which looks extremely similar to the iTunes App Store and boasts the same functionality and can be navigated in the same way. It'll also prompt the user when updates to the apps are available and, like the iPad, all apps will be viewable in full-screen mode.The App Store for Mac will appear on Snow Leopard-running Macs within 90 days. Jobs also announced the new LaunchPad feature, which is essentially an iOS layer on top of your Mac, showcasing your app library on the desktop and allowing you to create folders just as in iOS 4. There's also a Mission Control view, which is a neat take on Exposé and a host of new multi-touch gesture controls built into Lion, which will be released in Summer 2011.